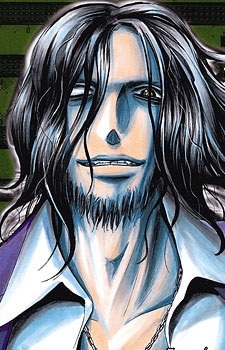 6 (or Sicks) is referred to as "absolute evil" by Kasai. 6 is also a member and the current head of the "New Bloodline," a group that distinguishes themselves from humanity by extent that they have bred 'evil intent' into their bloodline over the last 7000 or so years and whose aim is to extinguish humanity from the planet. He is truely the first person Neuro has considered to be an enemy, as humans are the creators of Neuro's "food", and thus 6's goal of wiping them from the earth is challenge enough for Neuro. Neuro even said that it was the first time that he'd had such an "unpleasant feeling" once he'd met 6 in person on a "social visit", which 6's considered to be high praise.